Rescue Bling Is The New Thing! The WagAware Charm is the only charm that saves dogs' lives. When you or your dog wears a WagAware Charm, you encourage the rescue and adoption of dogs in need of loving, forever homes. Our CatAware Charm supports homeless cats and our new, limited edition Pink WagAware Charm supports pet rescue. 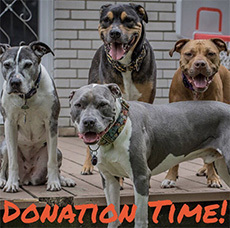 WagAware donates an unprecedented 50% of its profits to shelters, rescue groups and animal welfare charities. To date, WagAware has donated nearly $315K (and counting) to dog, cat and even farm animal rescue charities.